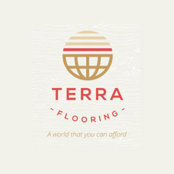 Professional Information:My name is Damien Lacey and I am the founder of Terra Flooring. Our team always strive for perfection, because we are engaged passionately and enthusiastically with flooring solutions. But above all, because you are very special to us! We welcome every new customer and we are very thankful to all of our existing clients who are helping us grow, and we respectfully call a ‘friend’. We are excited to see what the future will bring, and we very much hope you will join us.